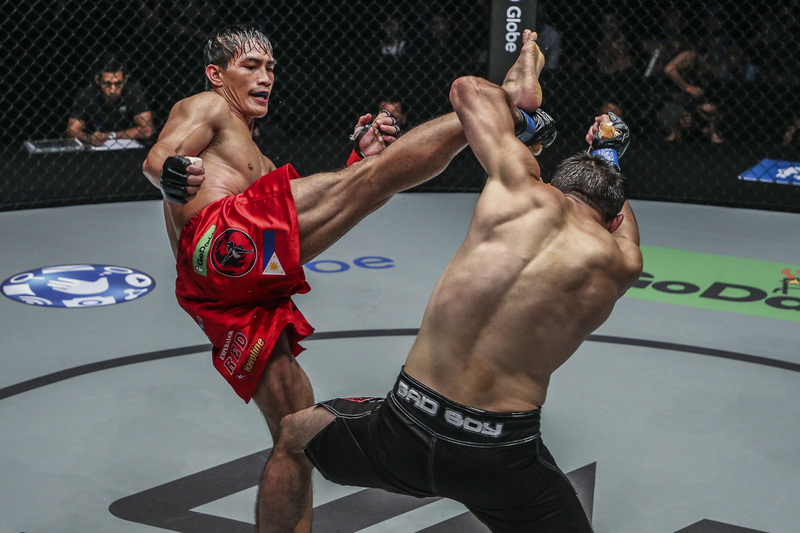 ONE Championship electrified the packed Mall of Asia Arena with another evening of authentic world-class martial arts action. The state-of-the-art showground played host to ONE: REIGN OF KINGS, featuring the absolute best in local and international martial arts talent. 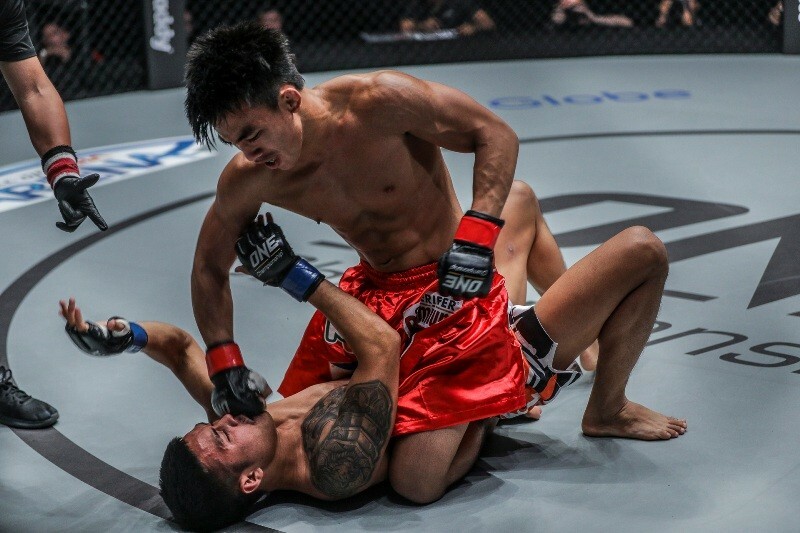 In the main event of ONE: REIGN OF KINGS, Filipino dynamo Kevin “The Silencer” Belingon derailed Martin Nguyen’s goal to become a three-division world champion by outclassing the ONE Featherweight and Lightweight World Champion with his striking superiority. 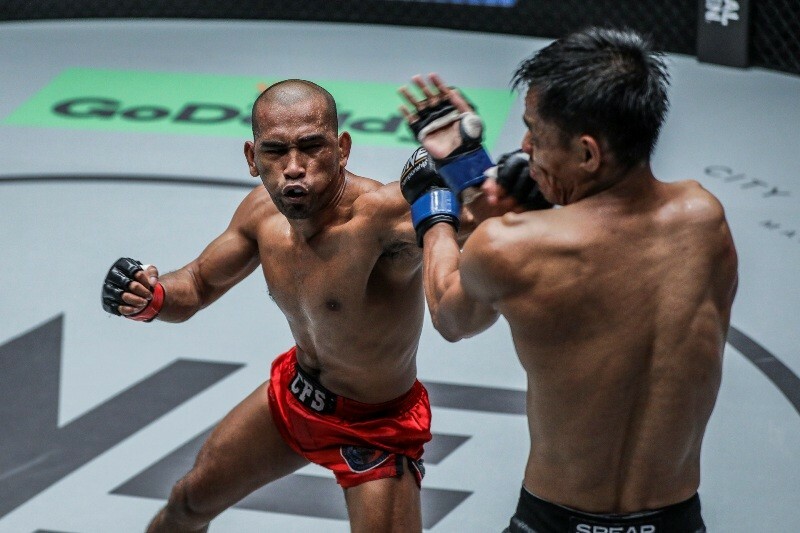 With his hometown crowd cheering behind him, Belingon effortlessly picked Nguyen apart in the stand-up, jolting the two-division titleholder with stunning left hooks and perfectly-executed spinning back kicks. 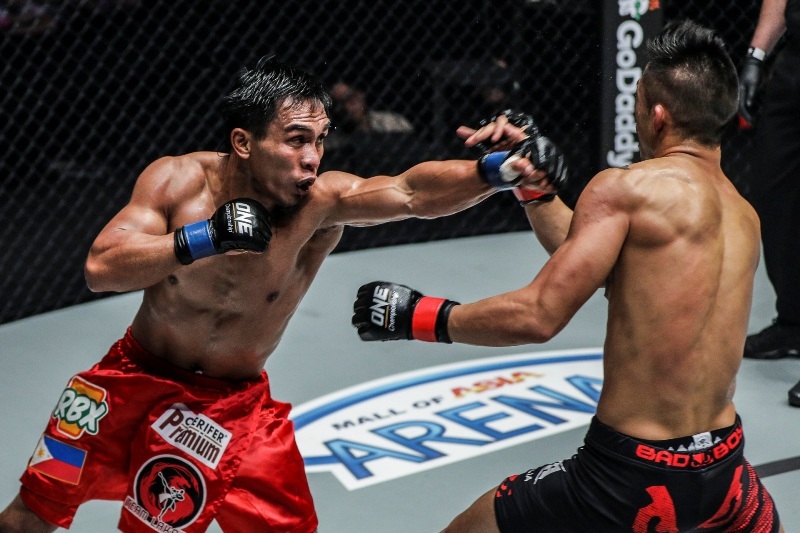 In the end, all three judges scored the bout in favor of Belingon to win by unanimous decision after an intense five-round affair, bringing home the ONE Interim Bantamweight World Championship. “I can’t explain this feeling, I’m the happiest athlete tonight. Thank you to all the people who came out to support me, and of course to ONE Championship, my team, my coaches and trainers, and my teammates. To Martin [Nguyen], it was an honor fighting you. You’re such a great athlete and champion. I trained very hard for this fight, just to get this belt. I’m proud to be a champion representing the Philippines. My friend Bibiano [Fernandes], I respect him as a champion, but we’re in the same weight class and I’m the top contender. So there is no escape in facing me. I hope you recover fast and we can make the fight this year,” said Belingon. In the co-main event of the evening, former ONE Lightweight World Champion Shinya “Tobikan Judan” Aoki of Japan smoothly steered to a first-round stoppage victory over Thai martial arts superstar Shannon “OneShin” Wiratchai. The victory earned Aoki GoDaddy Knockout of the Night honors. 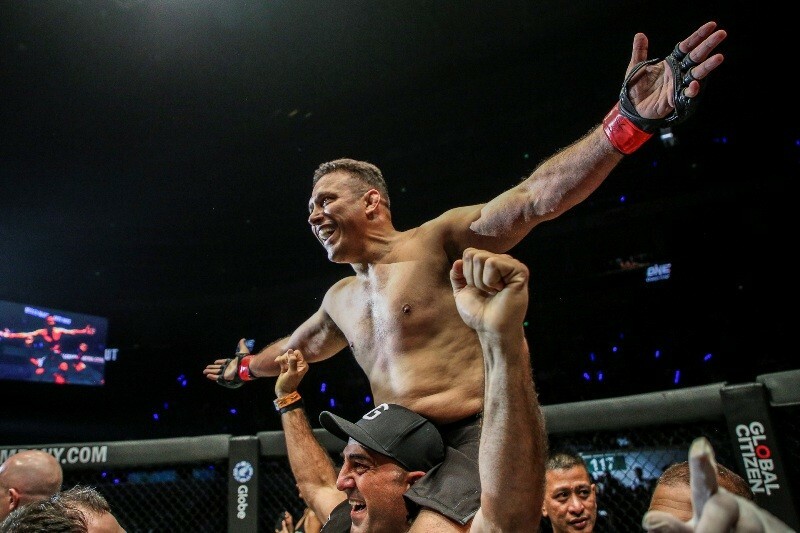 Brazilian legend Renzo Gracie made a triumphant return to mixed martial arts competition after eight long years, having his hand raised in victory at the expense of Japanese martial arts pioneer Yuki Kondo. Taking Kondo’s back, Gracie fastened a wrenching rear naked choke with no hesitation, which left his opponent no choice but to tap. International grappling superstar Garry “The Lion Killer” Tonon of the United States was successful in his second appearance in the ONE Championship cage, defeating Rahul “The Kerala Krusher” Raju of India via submission in round three. After falling short in his ONE Super Series debut two months ago, two-time Muay Thai World Champion Chris Ngimbi sought the redemption that he desired, edging out Armen Petrosyan via split decision in their three-round catch weight kickboxing showdown. In a ONE Super Series Muay Thai contest, former ONE Warrior Series entrant Panicos Yusuf of Cyprus earned a unanimous decision victory over Han Zi Hao of China after a gruelling three-round affair. Former Lumpinee and Rajadamnern Stadium World Champion Chamuaktong Fightermuaythai of Thailand showcased his world-class striking skills, defeating challenger Brown Pinas of the Netherlands via unanimous decision. All three judges scored the bout in favor of Chamuaktong after three rounds.